Today I just want to share an amazing freebie I found! Pete and I got a spice rack as one of our wedding gifts, and I've been on the hunt for cute labels for it ever since! I attempted to make my own chalkboard style labels, but my graphic design skills just aren't up to par yet (it was NOT a pretty sight)!!! I found tons of options I could pay for... but really, who wants to pay when you can find something free?! 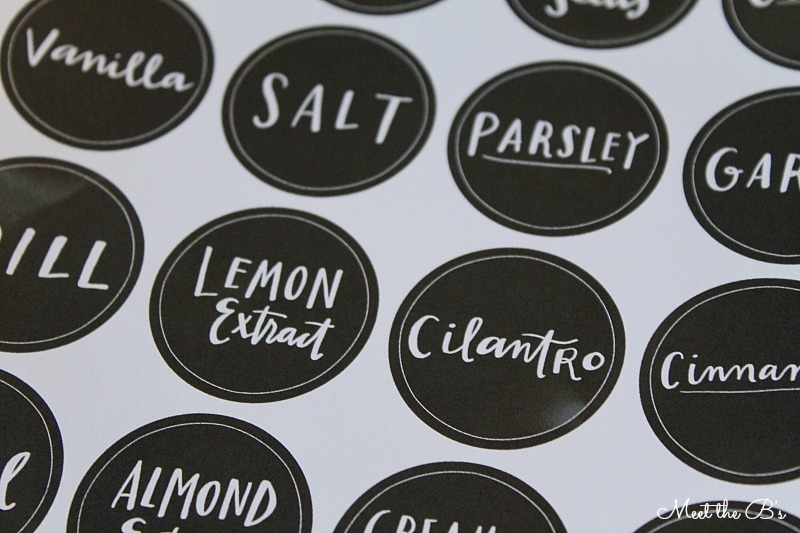 When we spruced up our kitchen, we used a lot of chalkboard style decor, so I searched for chalkboard spice labels and found these chalkboard kitchen, spice jar, and pantry labels created by Emily McDowell. I like them because they're so unique! Emily hand lettered each word! She has an Etsy shop where she sells more hand lettered creations. World Label sells label sheets to fit their prints, but I chose to use some full sheet labels from Avery because I'm impatient and didn't want to wait for a shipment :) I picked them up at Staples and started right away! 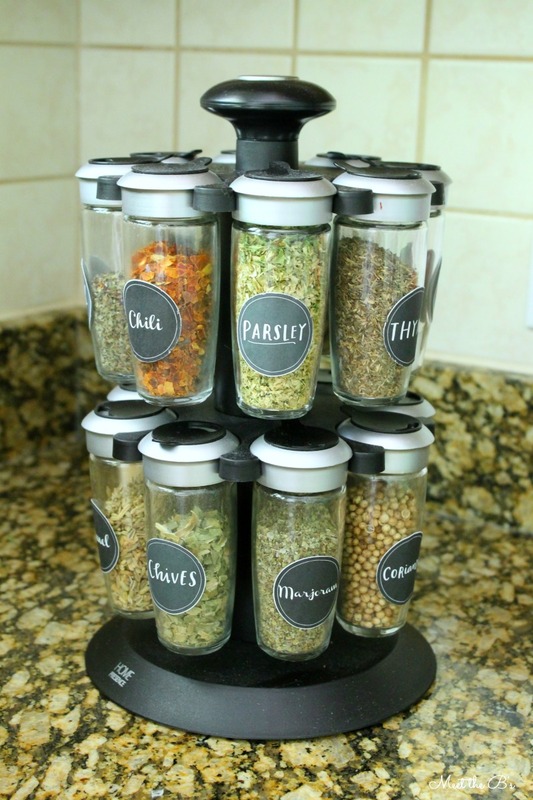 Then I wiped down each spice jar with a damp paper towel and let it dry. Be careful not to touch the jars because the natural oils on your hands prevent the labels from sticking well. 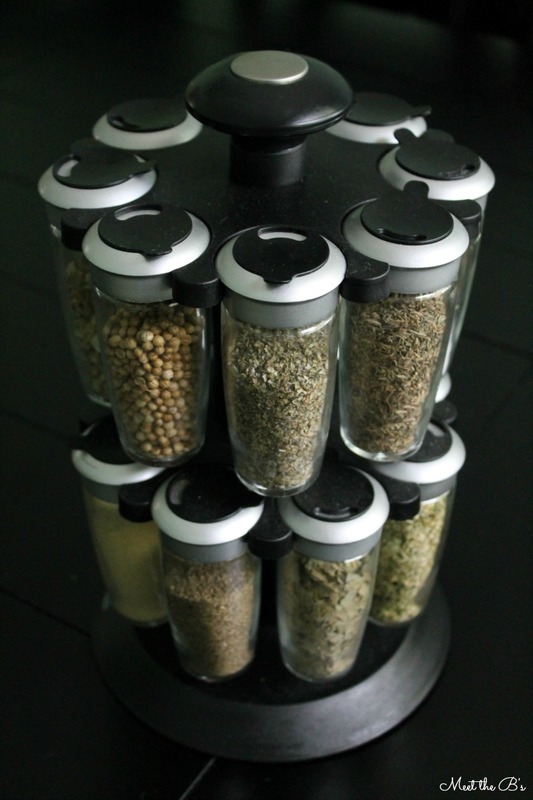 I applied the labels and admired how much fancier our spice rack looks!! There's nothing better than a free fix!! 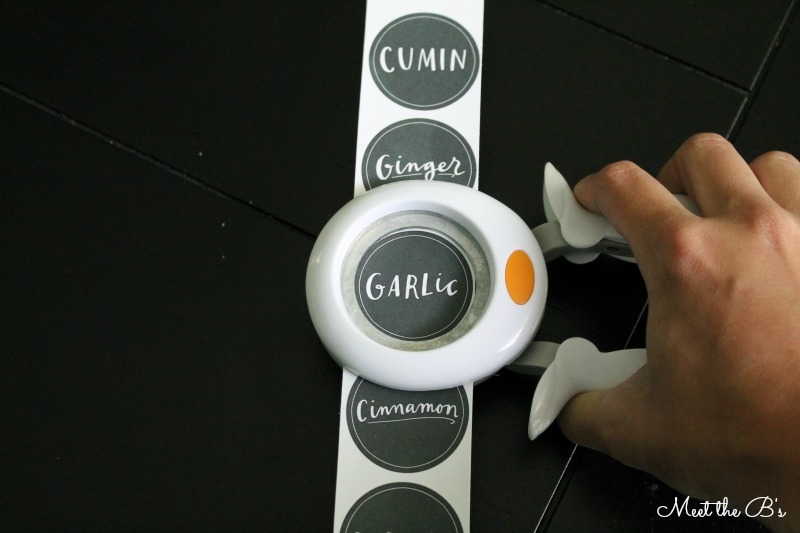 I can't wait to print out the rest of the labels in this set to organize the rest of our kitchen!